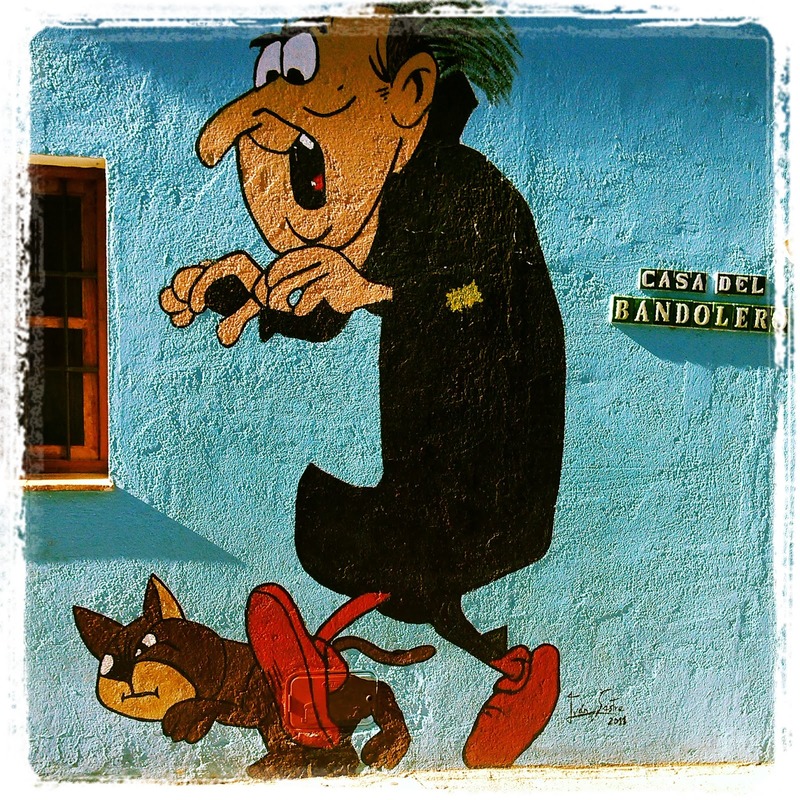 We heard about this strange place from one of my students in the language school where I teach. 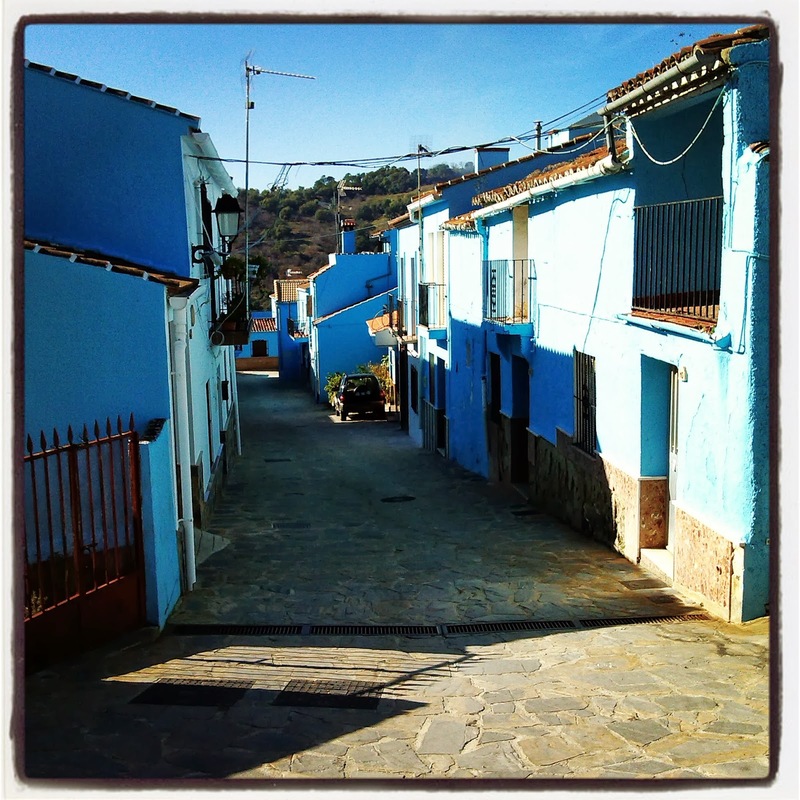 She told us that there’s a village somewhere in Andalusia where all the houses are painted blue. We didn’t need to hear more on the matter and as soon as we had a chance we went to investigate. This is how the story goes. Just before the premiere of the Smurfs film (Pitufos in Spanish) somebody at Sony came up with the idea of finding a whole village which could be painted blue to promote the film in Spain. The ‘pueblos blancos’ or ‘white villages’ of Andalusia seemed like the perfect starting point and eventually they settled on this tiny little place hidden amongst the mountain. The call came from Sony offering them the chance and the free paint with the promise of painting the houses back to white after half a year. The village got together, discussed the matter and decided to give it a go. From then on their whole world turned upside down. Their little village which had seen about a hundred tourists a year (if that much) was suddenly swarmed by visitors from all over the world who wanted to see the blue houses. The place recognised the potential and suddenly the business of tourism was flowering on its streets. Júzcar just in one summer was seen by over 80,000 people! After half a year the call came again from Sony offering the delivery of the white paint. The locals got together and with only a few exceptions they all voted to keep the colour. Some of them were even wearing a smurf outfit for the discussion! Must have been quite a sight. 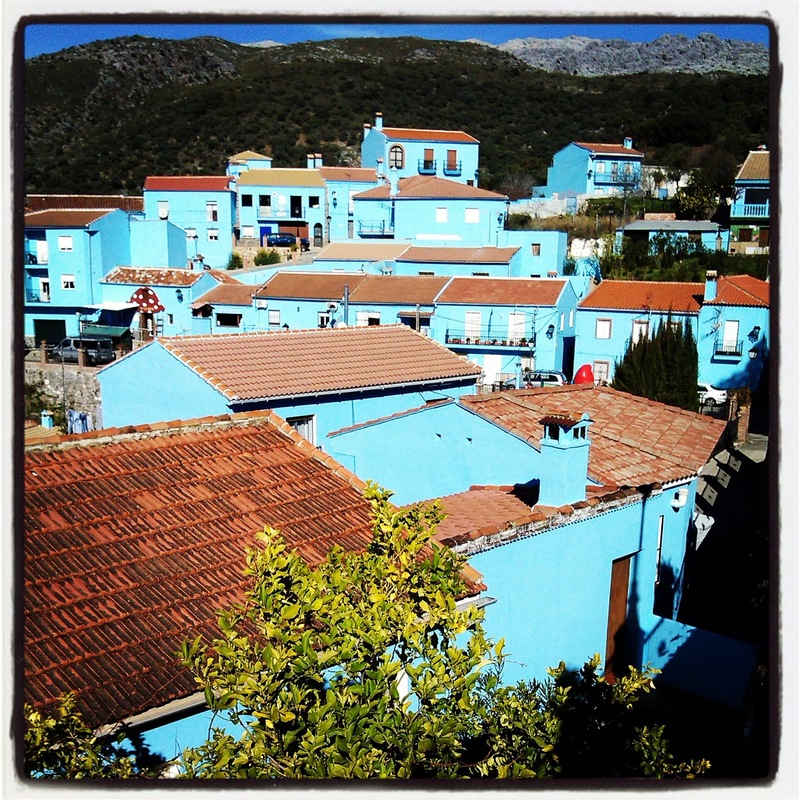 And this is the story of the Smurf Village of Júzcar. Enjoy the photos.